Minnesota Democratic Rep. Ilhan Omar defended asking Allah to help the world see how “evil” the actions of the nation of Israel are and how Israel has “hypnotized” the people of the world during a segment on CNN Thursday. The new representative said that the question was “regrettable” and that she does not know how her comments would be “offensive” to Jewish people. 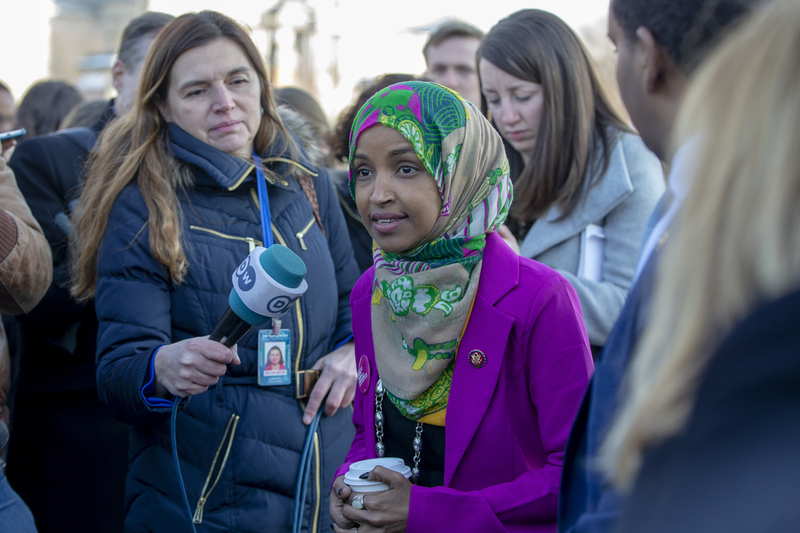 The Somali-American congressman said she was criticizing the “Israeli regime” for how it was conducting itself. Moments later in the interview, Omar called for GOP Rep. Steve King to be censured by Congress for “racism and bigotry” over controversial remarks made to the New York Times recently. In the same segment, Omar also defended her recent remarks claiming Republican Sen. Lindsey Graham has been “compromised,” suggesting that the South Carolina congressman is being blackmailed for his sexuality — an allegation being pushed by MSNBC’s Stephanie Ruhle and other liberal activists this past week.